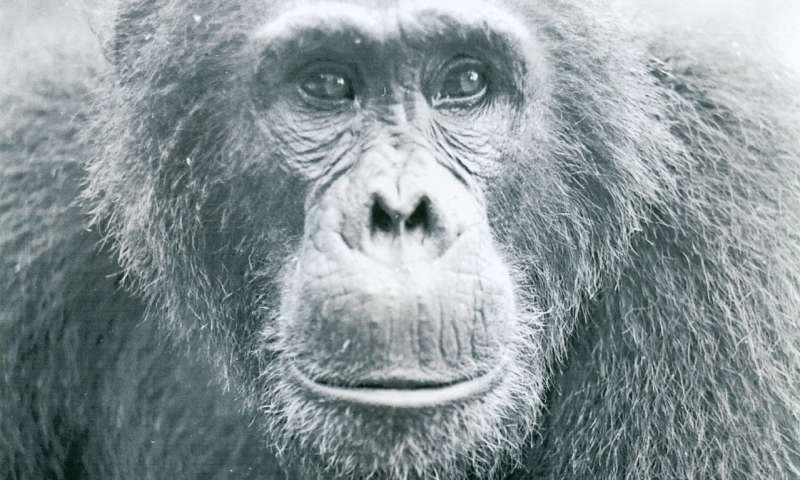 Humphrey was a top-ranking male chimpanzee in Gombe National Park, Tanzania, in the early 1970s and known for his frequent attacks on other chimps. 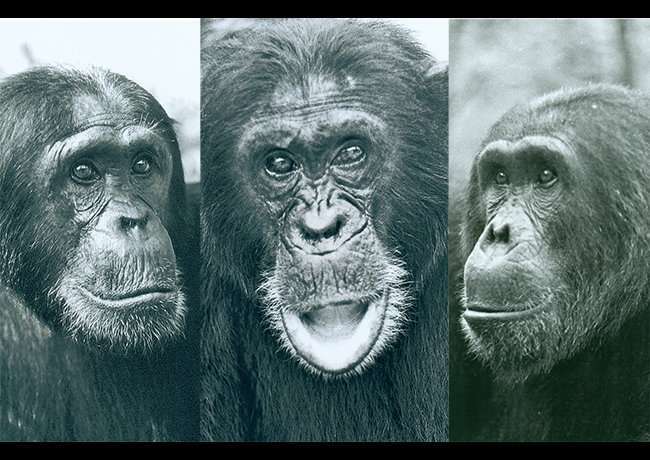 Tensions between Humphrey and his southern rivals Charlie and Hugh may have triggered the only known civil war in wild chimpanzees, researchers say. Credit: Geza Teleki. Power. Ambition. Jealousy. According to a new study, the same things that fuel deadly clashes in humans can also tear apart chimpanzees, our closest animal relatives. How did a once-unified community of chimpanzees in Gombe National Park, Tanzania, end up at each other's throats? Tensions that divided these top males also divided their community, researchers find. Credit: Geza Teleki. 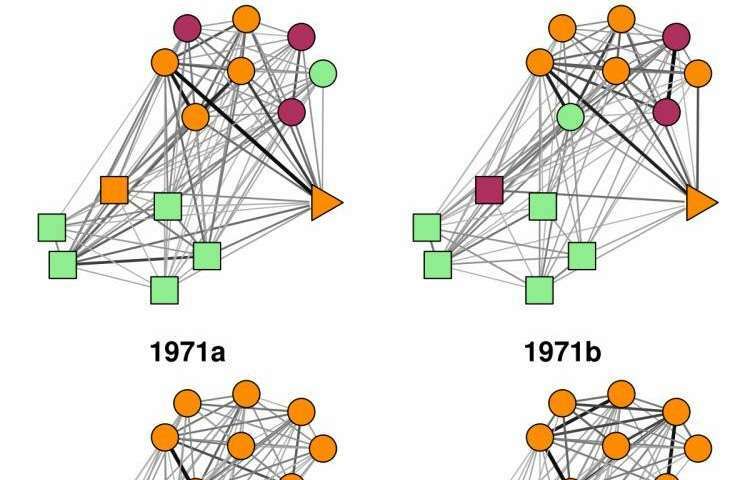 Social networks of chimpanzees at Gombe National Park, Tanzania between 1970 and 1972 show cliques hardening and becoming increasingly exclusive with time. Credit: Joseph Feldblum, Duke University.